It’s been a mad rollercoaster since our soft launch on 9 September 2017. We’ve started building a network of freelancers across the region, hired some awesome Consulting Editors, and published content we’re really proud of. We’ve also hit some obstacles, most notably being told that it would be contrary to Singapore’s national interests for us to be able to be registered in the country. Only journalism articles have been commissioned or translated into non-English languages. 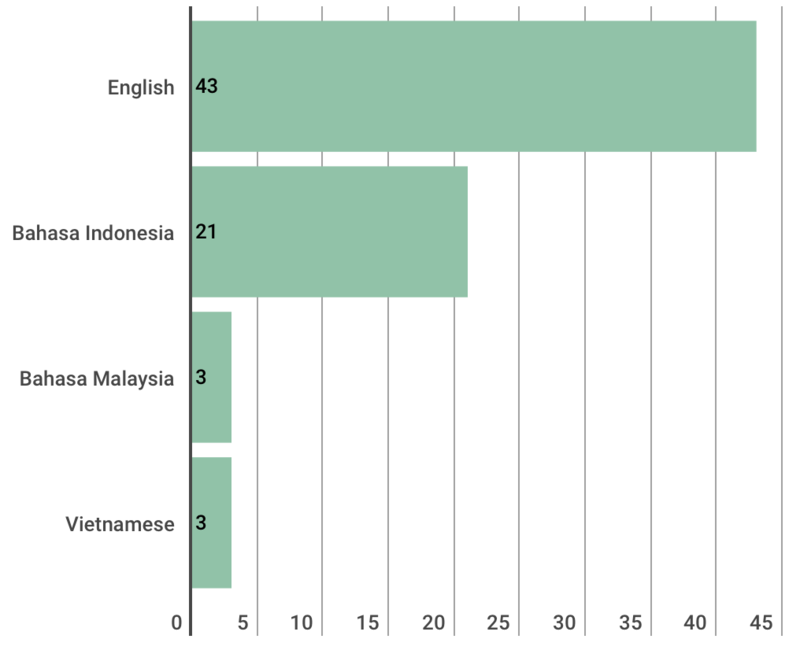 Of the 70 journalism articles, 43 are in English, 21 in Bahasa Indonesia (BI), 3 in Bahasa Malaysia (BM), and 3 in Vietnamese. These articles cover a wide variety of subjects from across the region, from the underground music scene in Malaysia to declining press freedom in Myanmar. 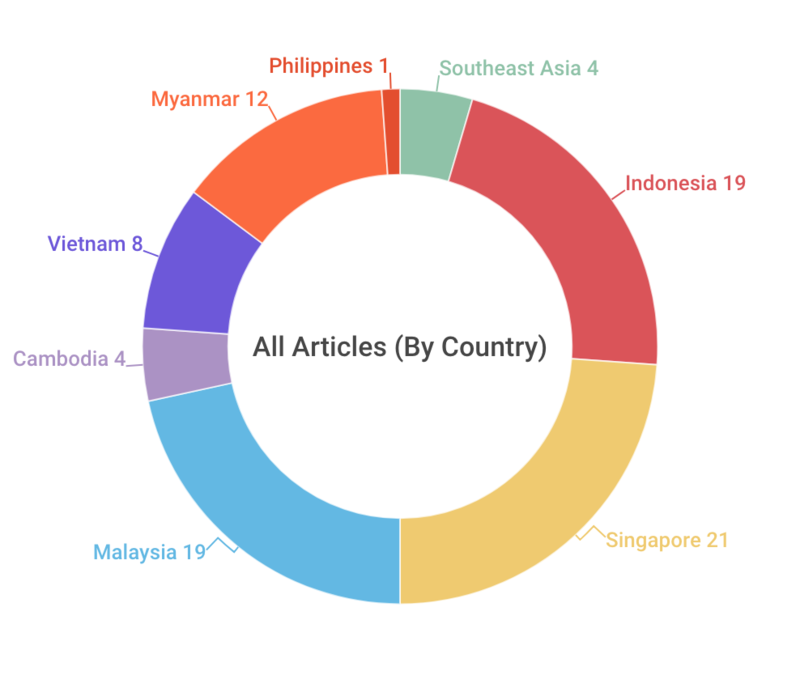 Excluding the sample articles that were published before the website came online on 1 November 2017, New Naratif has published 69 articles over 23 weeks (we took a break in the last two weeks of the year), for an average of 3 articles per week—ahead of our target of two articles per week. 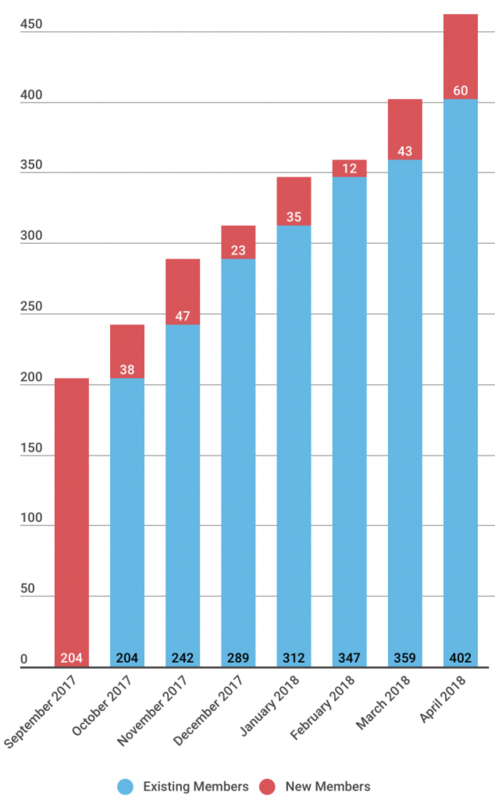 Excluding translations of the same article, however, we’ve published just over 1.5 articles per week. We’ll improve this figure and produce two original pieces every week—we’re already on track to do this! On 19 January 2018, New Naratif installed a basic web analytics package to better understand the topics that interest our readers the most. Since then, we’ve found that content of most interest to our readers are political and topical articles, including articles which looked at former political detainees in Singapore and the redelineation of electoral boundaries ahead of the Malaysian general election. By far the most viewed articles were comics: “The Select Committee on One Tight Slaps” and “Malay in the Modern World”. As of 30 April 2018, New Naratif has 462 members out of a first-year target of 1,000 members. We’ve seen slow but positive growth in every month of our existence. New Naratif is proud to be an organisation which prizes diversity. Our staff are majority female, and come from a wide range of ethnic, religious, and linguistic backgrounds. They’re all Southeast Asian (or permanently resident in Southeast Asia), intimately connected with their local communities, and passionate about telling important, meaningful, and relevant stories about our home region. Apart from our Editor-in-Chief, New Naratif doesn’t pay any salary to our Directors (Research, Design or Creative), who work on a pro bono basis. 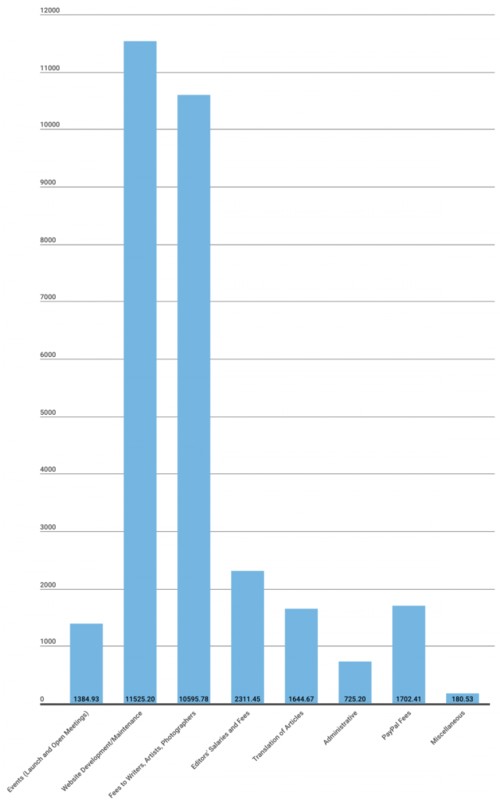 Our Editor-in-Chief began drawing a part-time salary in March 2018, following the receipt of a grant (see Finances, below). New Naratif currently employs four editors, all on a part-time consulting basis. Our Editor-in-Chief, Kirsten Han, covers Singapore. We also have Consulting Editors for West Malaysia (Susan Tam), North Sumatra (Aisyah Llewellyn), and Jakarta/Papua (Febriana Firdaus). We’re currently seeking Consulting Editors for other major urban areas and majority-minority areas of Southeast Asia, in particular in Borneo/Kalimantan, Eastern Indonesia, and Philippines. New Naratif has adhered to the principle of sustainable funding, spending only what we have on hand. In the first few months, this principle allowed us to tread water—we lost money in October and January, and barely broke even in December and February, but made money in September and November. Overall, between September and March 2018, we balanced the books. It helped that our Editor-in-Chief worked unpaid until March 2018. However, thanks to the grant from Foundations Open Society Institute (FOSI), which arrived in March 2018, we finished April 2018 in a strong financial position. This will enable us to make important hires, complete the development of our website, and expand the frequency with which we publish. For a full report of New Naratif’s financial position, please see our State of Income and Expenses. New Naratif’s attempt to register a wholly-owned subsidiary in Singapore was rejected by the Accounting and Corporate Regulatory Authority (ACRA) on grounds that we “would be contrary to Singapore’s national interests.” New Naratif is appealing this decision (our appeal, sent to Minister for Finance Heng Swee Keat, is here, with a follow up here); in the meantime, we’re still adhering to our twice-weekly publication schedule. In the meantime, New Naratif will accelerate our timetable to open our Jakarta and/or Kuala Lumpur offices. Our goal of opening an office in every Southeast Asian country remains, although it may be a long time before we can open an office in Singapore. Long-term financial sustainability remains a challenge. However, we continue to grow every month and are on track to increase our membership to our first-year target of 1,000 members. In the meantime, we’ll continue to apply for grants from various funding bodies. New Naratif is currently working on building and formally launching our website (which is when the porous paywall will be introduced). As part of this, we’ll increase our range of offerings, including introducing podcasts and videos; increase our staff to enable better coverage of local issues which are relevant to the people of Southeast Asia; and introduce functions in the website for members to engage and discuss with each other. We’re very grateful for all the support that we’ve received thus far. If you’d like to support us, please become a subscriber of New Naratif, or encourage your friends and family to do so.